There is a well-known joke in Egypt that says presidents always appoints a vice-presidents less capable than themselves, which is why Nasser appointed Sadat, Sadat appointed Mubarak, and Mubarak did not appoint anyone at all. This gag reflects a general belief within Egyptian society regarding the performance—and consequently the popularity—of subsequent Egyptian leaders, with the majority of people holding Nasser up as a paradigm of Egyptian and pan-Arab leadership. It is this belief that is fuelling the Sisi-mania currently gripping Egyptian society, with the defense minister being viewed by many as the second Nasser, come again to restore Egyptian pride. In my mind, however, what Egypt requires today is not another Nasser, but a second Sadat. Former president Gamal Abdel Nasser enjoys a peerless position in the Egyptian cultural psyche; he was a hero who stood up to Western imperialism, Islamic extremism and creeping Zionism. His victories— the nationalization of the Suez Canal, the taming of the Muslim Brotherhood, land reforms, and economic boom—continue to live on in the Egyptian popular zeitgeist. Nobody can doubt the man’s personal charisma and magnetism. A member of the Muslim Brotherhood tried to assassinate him during a speech in Alexandria in 1954, firing eight shots with a handgun towards the stage. All missed, and as the would-be assassin was taken into custody, Nasser, who had remained defiant at the podium, proclaimed: “Let them kill me; it does not concern me so long as I have instilled pride, honor and freedom in you. If Gamal Abdel Nasser should die, each of you shall be Gamal Abdel Nasser.” Given the sense of national pride that he instilled in the Egyptian people at the time, it is no wonder that millions took to the streets to demand his return in response to his short-lived resignation in 1967 following Egypt’s crushing defeat against Israel in the Six-Day War. These moments continue to live on in the Egyptian memory, while his mistakes—and there were many—have been forgotten. There was the weak military challenge he offered Israel during his tenure, particularly in the 1967 war—which Egyptians call Al-Naksa, or “The Setback”—which saw the complete annexation of the Sinai Peninsula, the West Bank and the Gaza Strip. The failed propaganda war he tried to run during this conflict, with Egyptian state radio claiming that Egypt was close to victory, made the announcement of defeat that bit more surprising and traumatic for the general public. This is not to mention his using, and then discarding, the Muslim Brotherhood, or his failure to implement democracy. Nasser was such a popular leader because he was a polarizing one; he promoted an ‘us against the world’ mentality, both within Egyptian society and in the Arab world at large. Nothing could be more dangerous for Egypt today than the return of this divisive approach. It would fragment an already divided society. 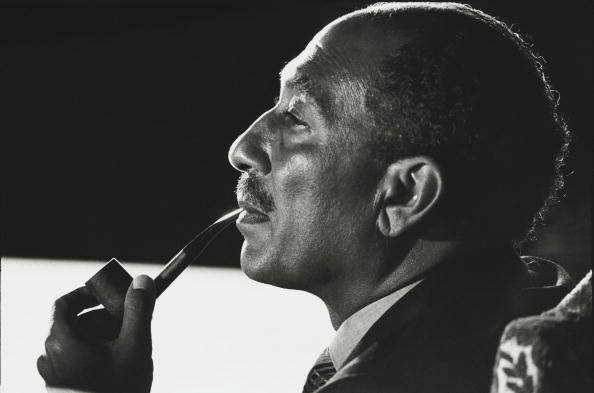 Anwar Sadat, Nasser’s successor, made the tough and unpopular decisions that ultimately saved Egypt. He began his presidency by releasing Muslim Brotherhood leaders from prison, signaling an immediate shift from the Nasser era. Rather than using the US as a convenient whipping boy to stir up national sentiment, Sadat realized which way the wind was blowing, moving Egypt’s diplomatic alignment from the doomed Soviet Union to the US. He masterminded the Infitah, economic liberalization policy, opening Egypt up to much-needed foreign investment, and restored Egyptian national pride with the successful 1973 war against Israel. Most importantly of all, Sadat made peace with Israel. He realized that Egypt needed to be at peace with its eastern neighbor, that this was vital for the country’s stability and prosperity, and he worked to make it happen despite a general lack of public support. A true leader leads from the front. His historic visit to Israel’s Knesset in 1977, travelling into to the belly of the beast less than five years after leading a war against the country, represents perhaps one of the greatest acts of political bravery undertaken by a world leader over the past fifty years. In a month that has seen the US withhold vital military aid to Egypt, Abdel-Fattah El-Sisi not ruling out a prospective presidential run, and Sadat’s own widow endorse a Sisi presidency, Egypt increasingly finds itself at a crossroads. The Muslim Brotherhood practiced a polarizing and divisive approach during their single year in power, while the military-backed interim government has gone to the other extreme, cracking down strongly on the Islamists. Egypt now needs rational, middle-of-the-road presidents who can unite the country behind them and secure Egypt’s future.